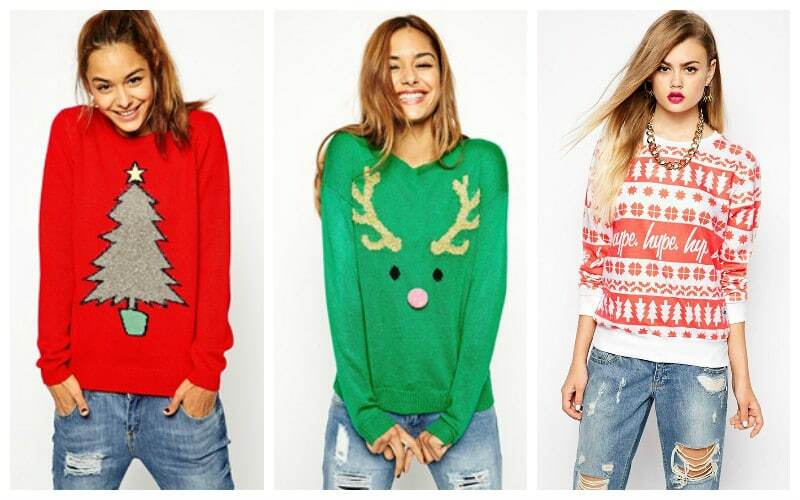 It’s that time of the year when you can have fun with your clothes, and Christmas jumpers are certainly fun, even a few designers are getting in on the action. So, to stop you thinking of them as super cringy and kitsch, we’ve put together tips on how to rock the Christmas look without looking like a walking Christmas decoration. For a night on the town or for a more glamourous look wear your Christmas jumper over a dress and a great pair of heels or ankle booties. This will create a versatile, fun and feminine look. If you want to look as though you have put minimal effort into your outfit, but also get in on the Christmas spirit, then why not pair your jumper with a pair of boyfriend jeans or skinny jeans, and finish it off with a statement necklace and some killer heels. The full skirt trend is one of our favourites at the moment and it works very well with fitted jumpers. 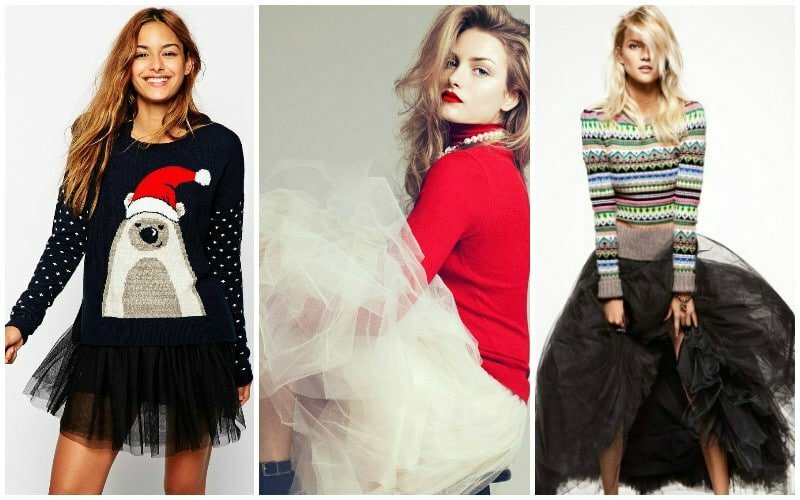 While we would usually recommend a cashmere jumper or a fitted blouse to pair with your full skirt, a christmas jumper can work wonders, too. Finish the look off with a sparkly clutch and you’re Christmas ready! If the idea of wearing a Christmas jumper sends shivers down your spine, well, you can still get in on the action with something a little more subtle like a Christmas Slogan jumper.